Applications for Dimensions, a peer-to-peer mentoring program for self-identified women of color, are due this Sunday, April 14, at 10 p.m. In addition to completing the application form, new applicants must submit one recommendation from a non-student member of Syracuse University’s faculty or staff. References must be on official Syracuse University letterhead and submitted in a sealed envelope to the Office of Multicultural Affairs or emailed to Julissa Pabon. 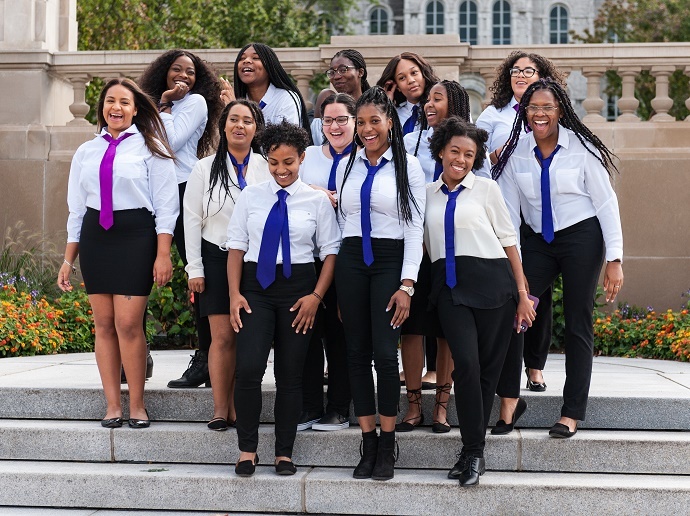 With 500-plus former members and counting, Dimensions has positively impacted Syracuse University by creating a space for women of color to come together through uplifting support. Per similar shared interests, first-year and transfer students are paired with mentors from junior and senior classes. Once paired, the mentors guide the mentees on how to personally and professionally navigate their first year of college. Dimensions seeks to create a sisterhood through dialogue and activities that facilitate self-confidence, academic success and cross-cultural engagement. For questions about the Dimensions program, contact Pabon.